Lisa is an ordained minister with the Universal Life Church and is able to perform weddings in the State of New Jersey. 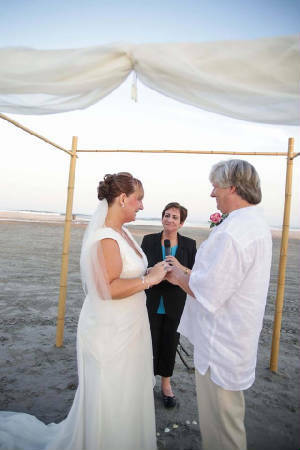 Please contact Lisa at serenityharbor@verizon.net or by phone at (856) 853-1009 if you are interested in having her officiate your ceremony. All couples must meet with Lisa prior to ceremony. Please contact Lisa immediately after setting your date to ensure Lisa's availability.